A couple years ago, the Oregon Health & Science University (OHSU) Biomedical Informatics Graduate Program undertook what seemed like a simple process of renaming the two tracks in the program. The university decided, however, that the two tracks of our program had grown sufficiently different that they actually warranted being separated into two programs. As such, the whole process took much longer than we anticipated. But all of the approvals and accreditations are now complete, and we can report on the changes. Although the changes to the program and degree names are big, the underlying curriculum and courses are mostly unchanged, still reflecting the current (and ever-evolving) state of our dynamic field. In a nutshell, the “tracks” are now called “majors,” and their names are somewhat changed. In addition, we are renaming the two master’s degrees, with the former Master of Science (MS) degree now being called MS Thesis and the former Master of Biomedical Informatics (MBI) now called MS Non-Thesis. All master’s students will be able to call their degree MS for short. A little history may be in order. Since 2006, the program has had two tracks, which have been called Clinical Informatics (CI) and Bioinformatics & Computational Biology (BCB). These two pathways through the program have been called tracks because they represent, in our view, two different foci within the larger field of biomedical informatics, which is the discipline that acquires, organizes, and uses data, information, and knowledge to advance health-related sciences. Historically, the differences between the tracks represented their informatics focus, in particular people, populations, and healthcare (clinical informatics) vs. cellular and molecular biology, genomics, and imaging (bioinformatics). In recent years, however, these distinctions have blurred as “omics” science has worked its way into clinical medicine and public health. 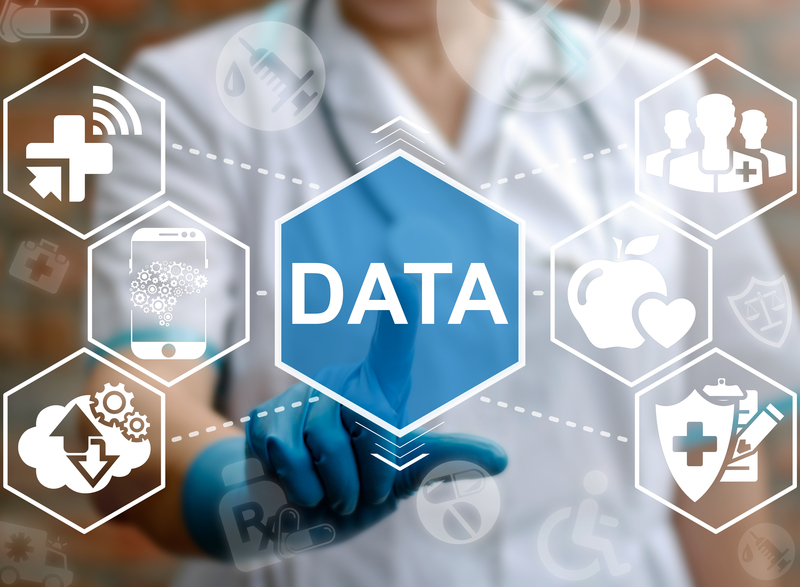 At the same time, health, healthcare, and public health have become much more data-driven, due in no small part to the large-scale adoption of electronic health records. Reflecting these changes, we decided to rename the tracks to Health & Clinical Informatics (HCIN, adding the health aspects) and Bioinformatics & Computational Biomedicine (still BCB, but with the latter word changed to biomedicine, reflecting the broader focus of bioinformatics and data science being applied in medicine). Another wrinkle in the name-changing process was that the OHSU administration requested that we drop the “tracks” monikers and instead separate the program into two different “majors.” This was requested because the two tracks have very few overlapping courses. The two majors still represent related aspects of the field, mostly in their depth of quantitative methods (deep in BCB vs. more applied in HCIN) but also in coverage of other topics (e.g., more attention to system implementation in complex healthcare environments and clinical data quality and standards in HCIN). Likewise, our National Library of Medicine (NLM) training grant will be available to students in both majors. The program believes that both majors possess a set of common competencies at a high level that reflect the essential knowledge and skills of individuals who work in biomedical informatics. The curriculum organizes these competencies into domains, which are groups of required and elective courses that comprise the core curriculum of each major. To reflect the evolution of the program, the program has renamed the BCB track to Bioinformatics and Computational Biomedicine (still abbreviated BCB) and the CI track to Health and Clinical Informatics (now to be abbreviated HCIN). Each of the domains contains required courses, individual competency courses (where students are required to select a certain number of courses from a larger list, which used to be called k of n courses), and elective courses. The program will continue the overall structure of the curriculum with the knowledge base that represents the core curriculum of the MS degrees and the base curriculum for advanced study in the PhD program. A thesis or capstone is added to the knowledge base to qualify for the MS Thesis or MS Non-Thesis respectively. The MS Non-Thesis capstone can also consist of an internship. Additional courses are required for the PhD, ultimately culminating in a dissertation. The materials and Web site for the program will be updated to reflect the new names. The program will also be evolving course content as well as introducing new courses to reflect the foci of the new tracks. The program still fundamentally aims to train future researchers and leaders in the field of biomedical informatics. We are sending this email to announce several changes in the biomedical informatics degrees taking effect during the 2018-2019 academic year. Upon review of the former tracks in the program, the Provost’s office determined that these tracks differed to such an extent that they needed to be reclassified as two discrete programs. We have assigned slightly different names to the new programs as well. The changes will affect students admitted Summer 2018 and following terms. They do not affect students admitted any time prior to Summer 2018. More details about these changes will be posted to the department blog (https://blogs.ohsu.edu/health-data/) and to the department website in the next few weeks. A new degree has been added–the Master of Science (MS) Non-Thesis (49 credits). The MS Non-Thesis replaces the Master of Biomedical Informatics (MBI) for incoming students as of Summer 2018. The Master of Science (MS) Thesis and the PhD remain unchanged. Anyone who graduates with either master’s degree may put the letters “MS” after their name. The “Clinical Informatics (CI) Track” has been renamed and reclassified as the “Health and Clinical Informatics (HCIN) Program.” (The “HCI” abbreviation was in use by another department, hence “HCIN.”) This change will be in effect for the graduate certificate, MS Thesis, MS Non-Thesis and PhD. The “Bioinformatics and Computational Biology (BCB) Track” has been renamed and reclassified as the “Bioinformatics and Computational Biomedicine (BCB) Program.” This change will be in effect for the MS Thesis, MS Non-Thesis and PhD. These are now discrete programs and are no longer two tracks of the former “Biomedical Informatics” program. Both programs will continue to be administered by the Department of Medical Informatics & Clinical Epidemiology. All courses will continue to use the BMI prefix, and students in one program will be able to take required or elective courses in the other program. Both of the new programs will be offered to PhD and postdoctoral students under our National Library of Medicine Training Grant. The MS Non-Thesis will appear on the application as an option in both programs beginning with the Winter 2019 term. Students admitted to the MBI CI Summer 2018 or Fall 2018 will be transitioned to the MS Non-Thesis HCIN. The coursework is identical and the final deliverables remain the same, i.e., either the BMI 581 Capstone or the BMI 590 Capstone:Internship. Students admitted to the MS Thesis BCB Summer 2018 or Fall 2018 will have the option to switch to the new, 49-credit, MS Non-Thesis BCB. The coursework is nearly identical and the final deliverable will be a BMI 590 Capstone:Internship (practical work experience) rather than a thesis. I will contact those students directly to discuss this option. Incoming postdocs in both programs will automatically be admitted to the new MS Non-Thesis. The coursework is essentially the same as that of the MS Thesis. The two primary difference is that the MS Non-Thesis requires a total of 49 credits, rather than the 55 credits in the MS Thesis. The final deliverable for all postdocs will be a publishable manuscript. The manuscript should be packaged following the instructions on the DMICE website before submission to the library. The program and name changes for new students matriculating in the 2018-2019 academic year will be scribed in SIS and in Degree Audit in the next few weeks. Feel free to contact Diane Doctor at doctord@ohsu.edu if you have any questions about these changes.